We know very little about the life of Lucretius. A late Roman Christian chronicle says that he went mad from a love potion, wrote several books in between his bouts of insanity, then committed suicide at the age of 43. However, this may have been an attempt at discrediting Lucretius' own work, which was seen as a threat to Christianity then and later at the beginning of the Renaissance. Cicero supposedly helped edit and provided stylistic suggestions for his poetry. The poet and politician Memmius was his patron, to whom Lucretius' de Rerum Natura is dedicated. 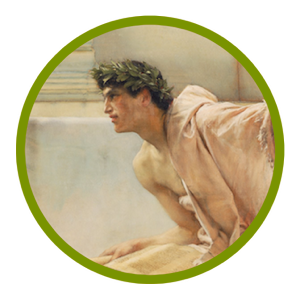 But apart from those two facts (which are attested in Lucretius' and Cicero's works), everything else is supposition: he was born near Rome, lived in Naples, was a freedman, or a member of the upper classes, lived with Cicero, Atticus, Brutus, and Cassius. We can't put much faith in any of those. The only major work of Lucretius' is his De Rerum Natura, On the Nature of Things. This is a grand treatise of Epicurean philosophy told in hexameter to a Roman audience largely unfamiliar with Epicurus and his ideas. The work is dedicated to Gaius Memmius, who was also connected to Catullus and other neoteric poets (although Lucretius is definitely not neoteric). The story of the rediscovery of Lucretius' work and its impact on the development of the Renaissance is told in the Pulitzer Prize (2012) winning book The Swerve. Republican Rome wasn't naturally inclined to the tenets of Epicureanism. Religion was used for political means, but Epicurus rejected the gods. Public life and politics was the pinnacle of a Roman aristocrat's life, but Epicureans would retreat into their gardens, shun politics, and pursue pleasure. Nevertheless, in the first century BCE Epicureanism had made inroads with the Roman elite: Calpurnius Piso, Julius Caesar's father-in-law, became the patron of the philosopher Philodemus (his library in Herculaneum is filled with scrolls and scrolls of Epicurean philosophy), Cicero's friend Atticus rejected politics and the senate because of his philosophy, and Cassius, the killer of Caesar, was an Epicurean. De Rerum Natura is divided into six books, or three groups of two books each. 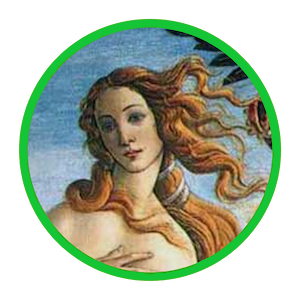 Dedicated to Venus, the personification of the fertility of nature, the first book discusses basic Epicurean physics, namely that the world is made of atoms that combine in different ways to produce matter. In the second book, Lucretius introduces Epicurus' idea of the swerve, the random movements of atoms that result in the uncertainty and variety of this world, including free will. Book 3 tells that the soul, made of atoms (albeit ones lighter than the body), dies with the body, and that there is no afterlife. The fourth book discusses the atoms that stimulate our senses, allowing for smell, hearing, taste, as well as false images and dreams. The last two books deal with the origin of the world and the explanation of natural phenomenon without divine intervention. Since the world, too, is made of atoms, it also will die (but there are many other different worlds). Lucretius preceded Vergil and the flexibility of his verse, even before the technical refinements made to Latin hexameter by Cicero, but his hexameter line is clearly distinct from the early Latin poets like Ennius. He begins his line predominately with a dactyl (63.57% of the time - but compare this to Ovid's 79.97% during the Augustan Age about 60 years later). He does have a preponderance of spondees (57.60%), similar to Vergil's own weighty subject matter. He also has a rather large frequency of elisions. Chiasmus (a-b-b-a word order) is as common in Lucretius as in Vergil or Ovid, as well as the use of enjambment (continuing the phrase onto the beginning of the next verse). These don't quite work well with Lucretius' exposition of philosophical thought. Because many of Epicurus' ideas involved technical Greek words, Lucretius had to find creative workarounds (e.g., semina, "seeds" for atoms) or Greek neologisms (homoeomeria, "homogeneity"). In his first book, he even complains of this, patrii sermonis egestas, "the poverty of the ancestral language" (I.832). Lucretius also forces words into his hexameter, lengthening short syllables and shortening long ones, even in inconsistently (e.g., the first syllable of liquidus is sometimes long, sometimes short, or the spelling of vaccillans where seven other times the word is spelled with just one c). He at times uses syncopated forms (where a syllable is left out, often representing popular speech), synizesis (where two syllables are pushed into one), and the early Latin poetic license with which an s at the end of a word would not necessarily make the preceding short vowel long by position. Conte, Gian Biagio. 1994. Latin Literature: A History. Baltimore: The Johns Hopkins Press. Leonard, William Ellery and Stanley Barney Smith. 1942. T. Lucreti Cari, De Rerum Natura. Madison: The University of Wisconsin Press. All data displayed on this page is taken from our active lines only. 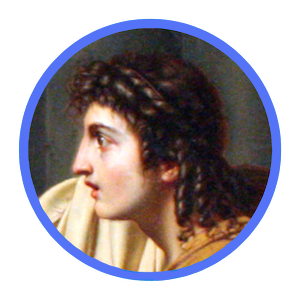 (70 - 19 BCE) Commonly known as Rome's greatest poet, Vergil wrote three works, the Eclogues, Georgics, and the Aeneid, Rome's national epic, all in hexameter. 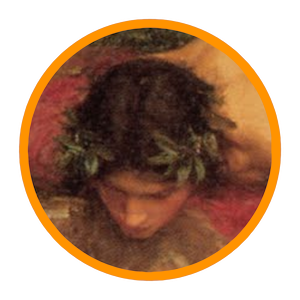 (43 BCE - 17/18 CE) Publius Ovidius Naso is most famous for his mythological epic, the Metamorphoses. "My mind compels me to speak of forms changed into new bodies." (99 - 55 BCE) A poet and philosopher, Lucretius wrote De Rerum Natura in order to transmit the ideas of Epicurean philosophy to the Roman elite. (8th or 7th century BCE) The author of the Iliad and Odyssey, two of the greatest epics in the history of the world and likely oral, rather than written, works of poetry. 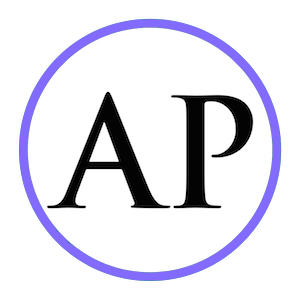 The poetry part of the AP syllabus consists of 844 lines from Vergil's Aeneid, Books 1, 2, 4, and 6. Are you sure you wish to delete your account? This process is not reversible.